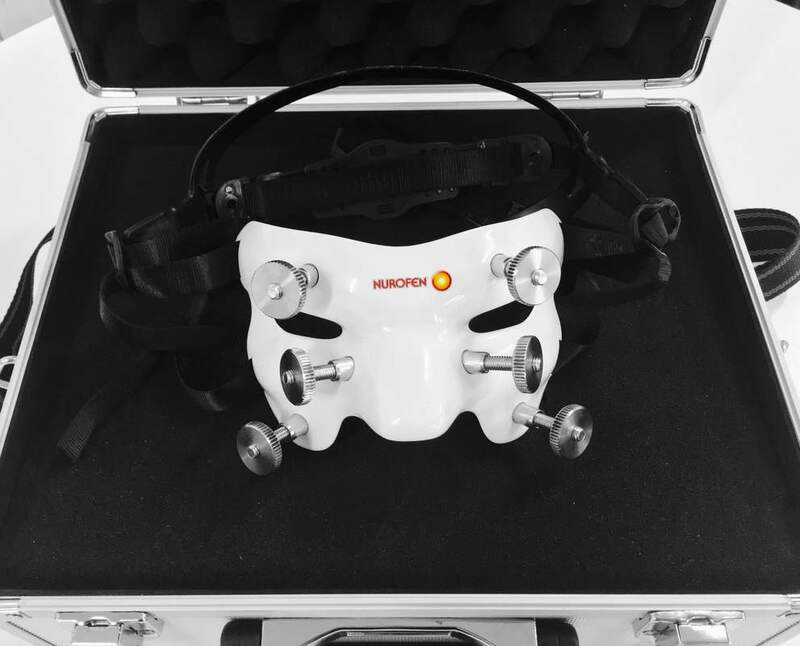 3D Scanning Case Study of a head that was used as a 3D form to 3D model a mask. To create a Sinusitis Mask for a marketing and PR exercise. The mask had to simulate Sinusitis by adjustable screwpads putting pressure on the main sinus points of the face. We then took the 3d scan mesh and cleaned it up, quickly sculpting the back of the head and neck. Because the Sinusitis Mask would be symmetrical, we mirrored the head so the mask design would fit both sides. 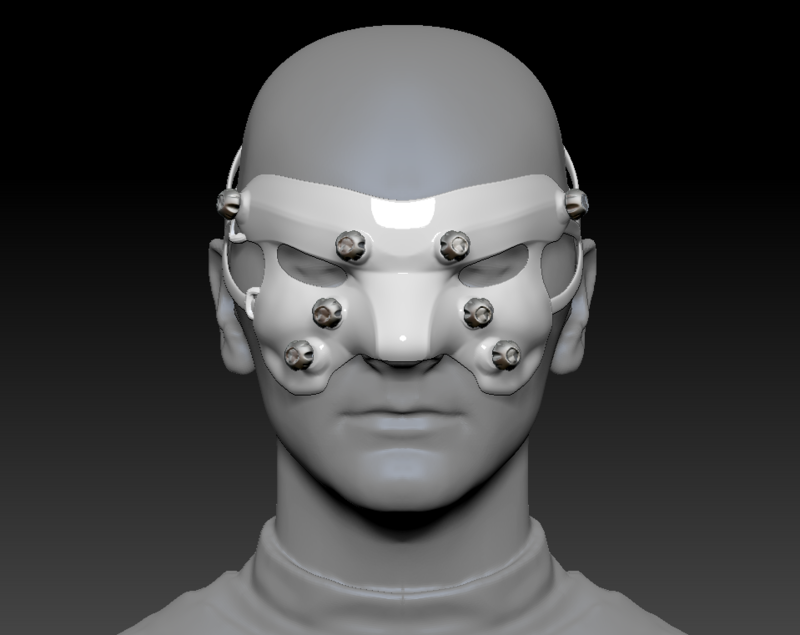 From a 3D design perspective, the mask needed to look plausible, and "more medical than superhero". It had to cover the sinus areas so the screws could add pressure at the correct point. Plus it had to hood the entire nose. The speed and efficiency of 3D scanning along with digital sculpting (or custom 3D modelling) is astonishing. We had 3D scanned and created the first 3D design for approval within 4hrs. Our 3D scanner uses white light technology so is safe for head scans and is unparalleled in accuracy. The design was developed through meetings with the client, where it was determined the screws needed larger heads to make them easy to tighten by the wearer. 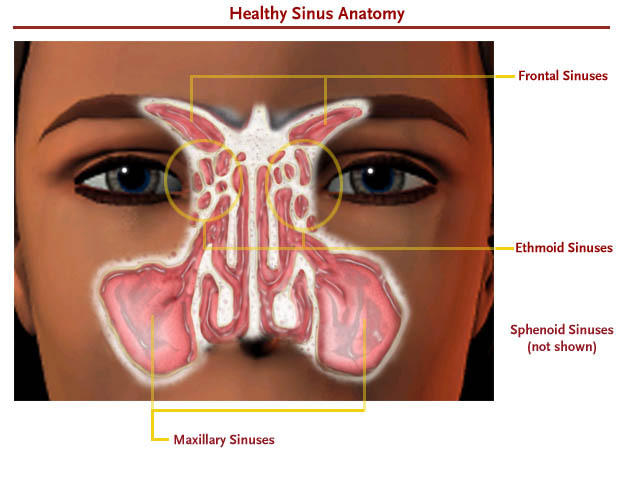 The physicians involved with the project commented that the mast recreated sinusitis very closely.